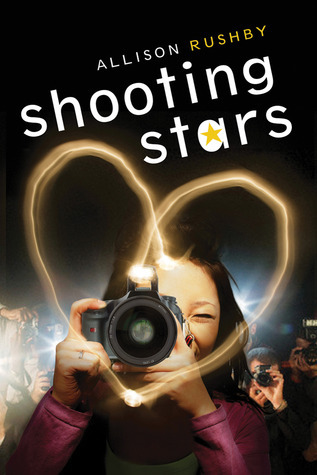 Shooting Stars was a light comedic take on the world of paparazzi. The book starts off with 16 year old paparazzo Josephine, or Zo Jo in the beginning of the book when she is hunting down teen heartthrob Ned Hartnett in a club. 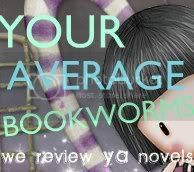 She succeeds in entering and getting the shots she wants, where we are then introduced to the plot of the book. An accident causing Ned to enter a retreat where he can get away from the spotlight and find time for himself. Jo takes on the job of going undercover and entering the retreat as a patient herself, but what she's really doing there is taking shots of Ned Hartnett. Jo knows its going to be a dirty job that will eat at her conscience but she needs the money if she ever wants to enroll in photography school. Jo's time at the retreat is mostly spent around group sessions, bonding with the other kids, and attending outside activities that she usually finds lame. The problem? She's not doing her job. The editor that hired her, Melissa, constantly checks in on her wondering why she hasn't sent any shots yet which Jo brushes aside, promising that she'll send them in soon. Before she knows it, Jo is crushing hard on Ned and decides to put the cameras down. It was nice seeing Jo becoming a better person throughout this book. She's smart and witty and definitely not your sweetheart. When she first enters the camp she promises herself that taking the shots will be easy and once she gets enough she can in and get out. No harm done and no guilt. But it wasn't the case and Jo warms up to her target, Ned and they get close enough to talk about their problems to each other. There were twists I didn't see coming in the story, but they played out to be a helpful factor helping Jo realize she can needs to stop and get away from the dirty business.What I didn't like was the abrupt solution to the problem. It didn't end as well as I had hoped but nevertheless it was a happy ending that led to Jo cleaning her conscience and knowing she did the right thing. Shooting Stars was a quick light read but definitely not memorable. Save this for a rainy day.